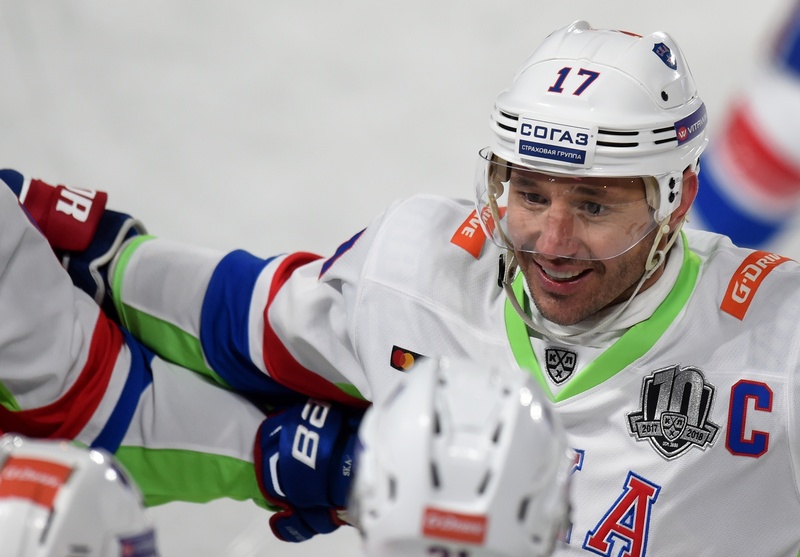 Division captains Andrei Markov and Ilya Kovalchuk spoke to KHL.ru about their expectations of the forthcoming Week of Hockey Stars in Astana. With the Week of Hockey Stars in Astana already underway, and with just a couple days remaining until the KHL's finest join in the biggest show of the hockey season, two of the most illustrious participants, Ilya Kovalchuk and Andrei Markov, shared their thoughts on the contests which await them, the women TV presenters as assistant coaches, and the capital of Kazakhstan as host city. - How do you think this forthcoming All-Stars Game will differ from previous events? - Once again, the KHL has chosen a host city from outside Russia, this time in Kazakhstan, and I think it is the right choice. We are an international league, and I think that the Kazakh people, with their love of hockey, have earned the right to have the All-Star Game in their country. Astana is a beautiful city, with many new buildings and unique architecture. - Players usually only see other cities through the windows of the bus. Do you have any plans to go on excursions around the city while you're there? - I have to. We have more than just the one day in Astana, so I'll find the time. - Are you not worried that you will be mobbed by the fans? - No. We'll all behave ourselves. - What do you think of the new Barys Arena? - It's just super. Even when Barys played in the old ice palace, the supporters were incredible, and interest in hockey there is growing further still. - A curious statistic: you have not yet scored in the new Barys Arena. - But I scored a few in the old arena. Anyway, it is the All-Star Game, and that gives me a great chance to correct that anomaly. - In which Master Show contests are you planning to compete? - I'm ready for anything, but it's the coaches who decide. - On that subject, one of your coaches will be TV presenter Natalia Clark. Are you ready to work under her? - I read that many coaches are unable to take part in the All-Star Game, so having Natalia is a positive (laughs). - You are one of the most experienced players in the KHL, yet this is your first All-Star Game. What do you expect? - I think any sportsman, regardless of age, would be delighted to take part in such an event, and I'm no exception. I intend to enjoy the occasion as much as I can. 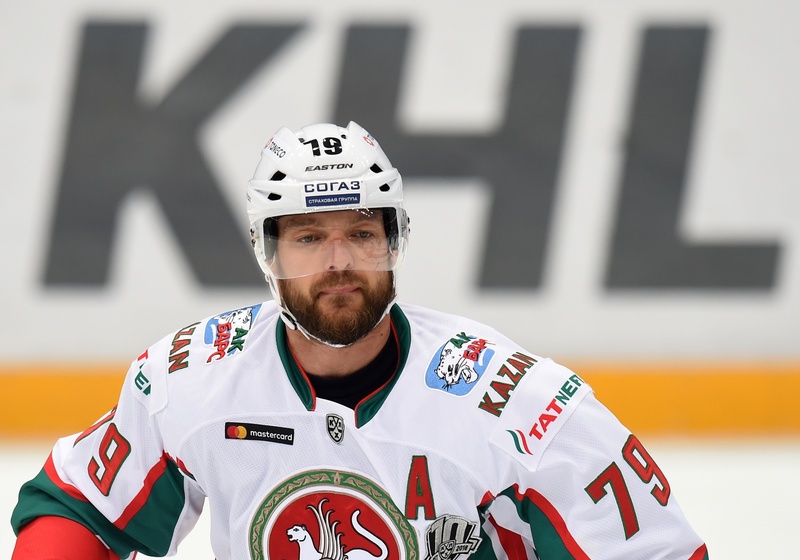 - Your move to Ak Bars was one of the most significant trades of the preseason, but did you expect it would be followed by a call-up to the All-Star Game? - To what extent do you think staging an event like the All-Star Game will promote the game of hockey in the region? - I've been to Astana and seen what a great new arena they have there, and how passionately the fans support the team. All the same, I think that after Astana has hosted the finest players in the KHL, the interest in hockey in the region will grow even stronger. I know the level of organization will be first class. - After you received your All-Star Game call-up, did you watch any highlights of last year's event in Ufa? - Only clips on the promotional videos they have been showing on TV, but being a little bit in the dark just makes the whole event more interesting. As for which Master Show contest I'll be in, that will be decided on the day. - This year's innovation is having women TV presenters as assistant coaches. What's your view? - We have already seen a greater involvement from women, and not just on TV sports channels. They are prominent in many other fields - politics, for example - but their presence will make the event more popular, I'm sure.